Welcome to the PES Mastery Penalty Tutorial. Penalty kicks present you with the best opportunities to score. This tutorial will show you how to maximize your chances of converting the kick. In addition, you will also learn about defending against penalties. A player with high ratings in these abilities is a good penalty taker. Before taking a penalty, press ‘Select’ and choose the player with the highest rating. As with all set pieces, this rating is only for the particular set piece, and does not reflect the player’s overall rating. 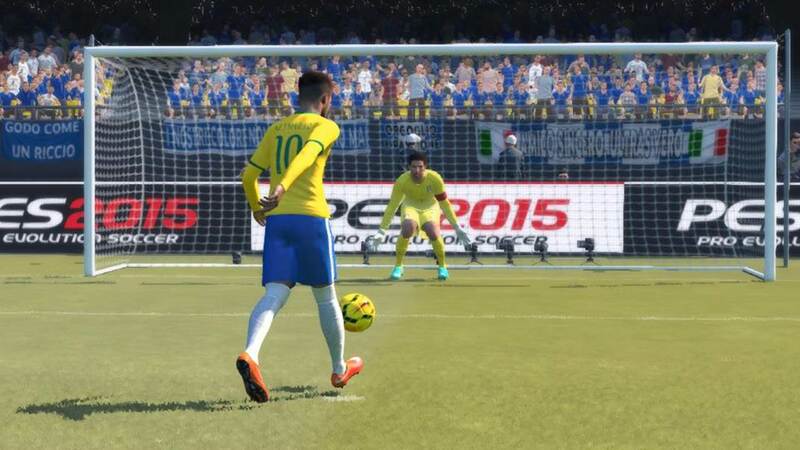 Choose the player with the highest rating to increase the likelihood of scoring the penalty. You can aim for the four corners, or leave your analog stick untouched to shoot straight down the middle. Step 2: Keep your left analog stick held in your chosen position, and charge up your power. The recommended power level is from half to three quarters of the bar. You can afford to charge up more power if you are aiming for the bottom corners as compared to if you go for the top corners. Step 3: Release your analog stick and buttons, and prepare to go for the rebound if the goal keeper makes a save. 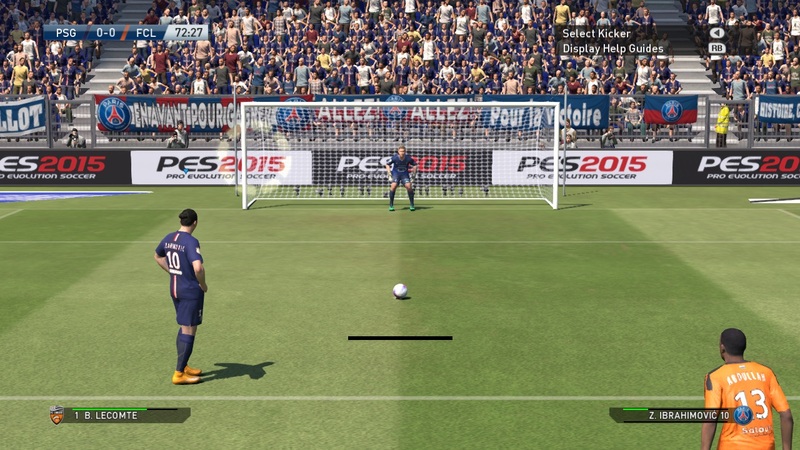 If you wish to take a panenka / chip penalty, hold L1 (PS3) / LB (XBOX) before charging up the power. You can chip down the center, or towards the left and right of goal. Chipped penalty towards the side are hard to defend against, as the ball trajectory is rather unpredictable for the goal keeper. Hold R1 (PS3) / RB (XBOX) to activate the shooting guide. A circular indicator will appear, showing you where your shot is likely to end up. With R1 / RB held down, follow the same 3 steps mentioned above to take the penalty. 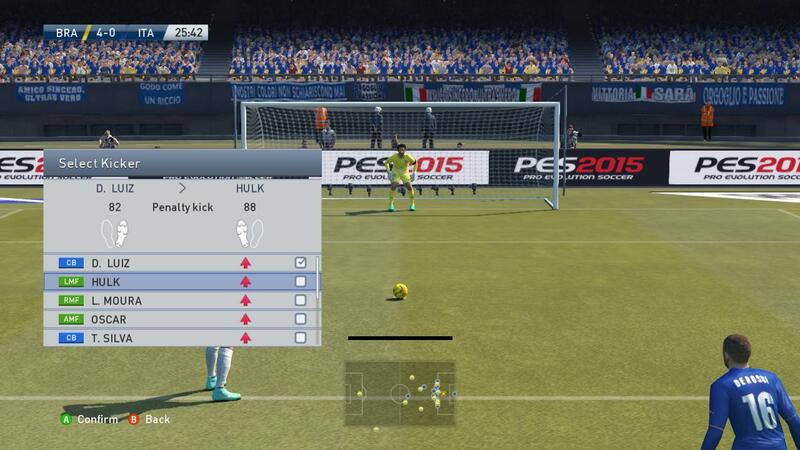 Before your opponent takes the kick, you can use your left analog stick to move your goal keeper along the line. Perhaps you will like to take this opportunity to unnerve your opponent. If you move slightly to your left, your opponent might be more tempted to shoot towards your right. He may also go for the reverse, and aim for your left. Play mind games with your opponent by moving the goal keeper around. As your opponent is about to take the kick, push your left analog stick in the direction you wish to dive towards. Dive towards one of the four corners of the goal, or leave your left analog stick untouched to block shots down the middle. The timing of your dive will depend on your prediction of the shot’s power. If you are expecting a fast, powerful shot, you will have to push the left analog stick when the penalty taker is running towards the ball. This ensures an early dive to reach the corners of goal. If you are expecting a slow, weak, controlled shot, push the left analog stick only when the taker is just about to kick the ball. Doing this will ensure that your goal keeper do not jump too early and end up missing the ball. 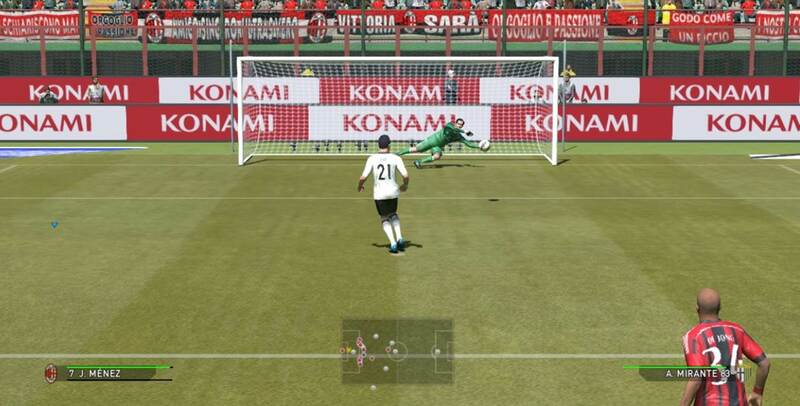 Another note of penalty saving – If you are anticipating a shot towards the bottom left corner, be sure to push your left analog stick to the Bottom Left, instead of just Left, or the Top Left. This prevents the ball from sneaking past the goal keeper’s body. 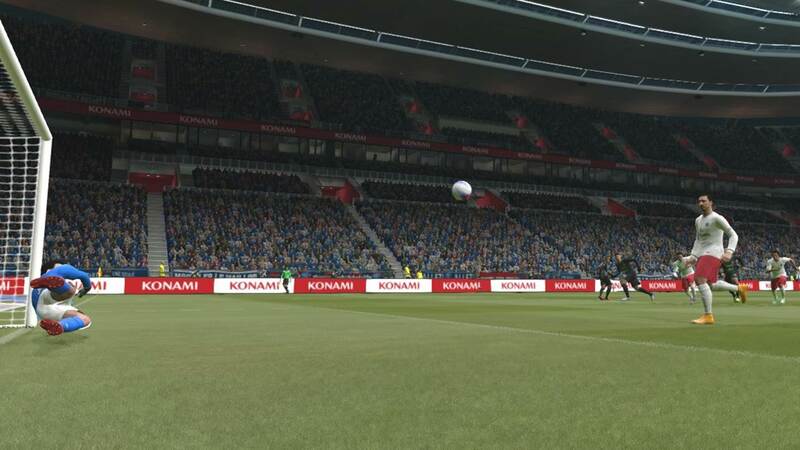 Similarly, if the shot is going towards the top corner and your left analog stick is not pushed in that direction, your goal keeper will miss the ball. All of us tend to go with our instinct when trying to save a penalty. Whatever direction your instinct tells you, ensure that you push your left analog stick fully in that direction, to avoid conceding a goal through no fault of yours. And there we have it, a short and concise guide to penalties. I hope you find this tutorial useful for scoring and defending penalty kicks.